HGSS is privileged to celebrate a Bar and/or a Bat Mitzvah nearly every week. 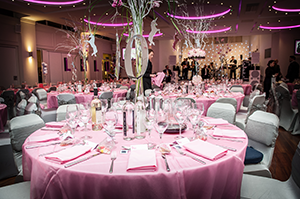 Each Bar and Bat Mitzvah is unique and we like to ensure that each young person has their own day and special time. As well as the traditional Shabbat morning service, we also offer the following ceremonies which can be celebrated in addition to the traditional Shabbat morning Service or as an alternative. Bar Mitzvah boys can attend the morning service on a Thursday following their 13th birthday (according to the Hebrew calendar). They are called up to the Torah for the first time and also have the opportunity to read from the Torah. The family may also wish to provide a small l’chaim after the service and there is an opportunity for family photos (as it is not Shabbat). For girls, HGSS has established a range of Bat Mitzvah ceremonies including Friday evening, Shabbat morning, at Havdalah as Shabbat goes out as well as on a Sunday. Families are able to choose which service they feel would be most meaningful (and of course practical) for their daughter and at each ceremony, the Bat Mitzvah Girl is able to deliver her Dvar Torah in the presence of family and friends. 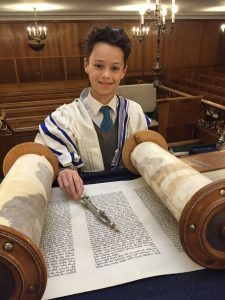 The Synagogue Office is able to recommend a number of teachers who will ensure that each boy is taught to the highest standard and is able to perform confidently and accurately. Instruction should not begin more than a year before the date of the Bar Mitzvah. Families are asked to contact the Office to arrange a meeting with Rabbanit Batya Friedman a year before the Bat Mitzvah to talk through the various options and also to sign up for her innovative Bat Mitzvah programme, which has set the precedent for many communities worldwide. Click on the fol lowing link which will take you to a Calendar Calculator to help you find your child’s Hebrew birthday. Please contact the Synagogue Office up to 3 years in advance of your celebration to book an appointment with the Wardens who will confirm which dates are available to book your Bar or Bat Mitzvah.